The National Youth Corps Programme has created a significant number of jobs the youth were recruited and trained as per NARYSEC guidelines as provided by the National Department of Rural Development and Land Reform. In addition to the NARYSEC, DARD also implements DAFF Programme of Youth in Agriculture and Rural Development. There was an intake of 351 young people for NARYSEC in February 2011. The youth were offered training in Electronic Records Management (through in-service training at the Department of Rural Development and Land Reform) and construction for the period September 2011 to August 2012 in different Further Education and Training (FET) colleges namely: Flavius Mareka in Fezile Dabi, Motheo in the Mangaung Metropolitan Municipality and Goldfields in Lejweleputswa. Household Profiling to inform the Comprehensive Rural Development Program (CRDP) and War on Poverty (WoP) and other Government initiatives has resulted in temporary employment of 1200 youth at R1000,00 per person for each 100 house-hold profiles completed across the Province in supporting data collection on WOP. The Re Jela Peo programme aims to provide youth with training opportunities in film and documentaries so that they will be able to tell stories in their localities through television as a tool of communication. There was an initial intake of 24 young people from rural towns and farms in the Free State during September 2011. The Department of Cooperative Governance, Traditional Affairs and Human Settlements implements the Free State Youth at Work programme. The multipurpose programme aims to meet government’s objectives for youth development through various integrated programmes that target training and skills development towards employment. 60 youths have been identified in Winburg for this purpose. They will be trained in construction and given an opportunity to work on some of the construction projects targeted at building houses for the women who participated in the 1956 Women’s March against pass laws. Other stakeholders in the programme is the National Youth Development Agency (NYDA), the Department of Trade And Industry (DTI) and the Free State Department of Social Development. The Department of Economic Development, Tourism & Environmental Affairs has implemented a number of programmes focused on the youth sector. These programmes are aimed at economic development (with the support of the partnership agreement with the International Labour Organisation) in four key areas, namely waste management/recycling, construction, social services and culture of entrepreneurship. The tourism components includes key areas such as the Tourism Ambassador Programme, Hospitality Youth Initiative, Training of Chefs programme, ETEYA and the Tourism Career Expo. Focus areas of the environmental affairs component include bio-diversity and conservation management as well as environmental management. 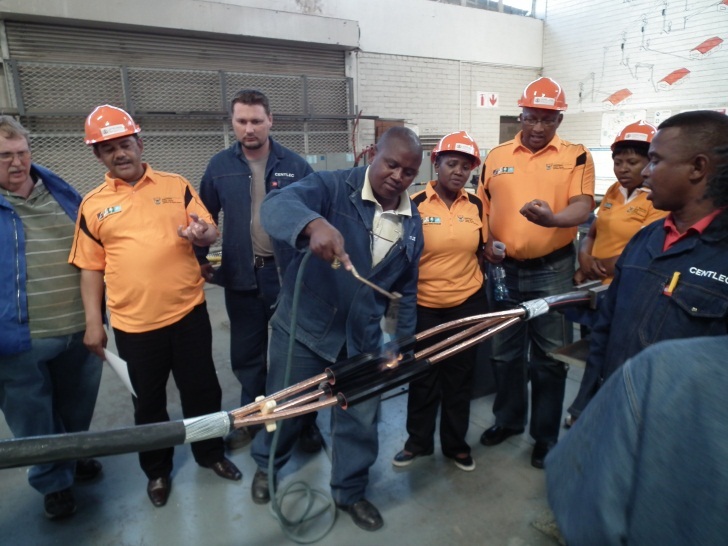 This programme focuses on developing qualified artisans in the electrical field. 13 NYS learners are presently training at the CENTLEC Training & Development Centre and the training commenced on the 2nd February 2010, for a period of three years. 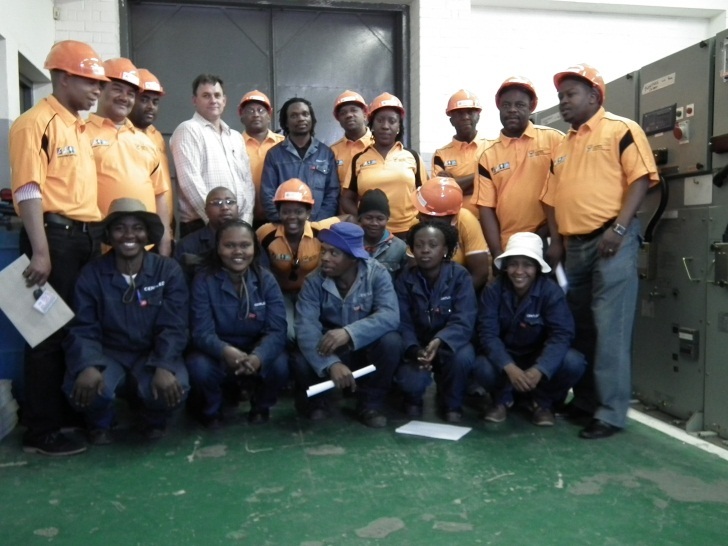 The Department registered this apprenticeship programme with the Energy Seta. Learners have started their second phase in-service training at CENTLEC where they are placed in different sections. The second phase in-service training will last for hundred days then followed by preparations for the Trade Test for qualification as artisans. 251 Learners were selected and have signed Learnership Agreements for Civil Building (141) and Plumbing (110). Learners were selected from Fezile Dabi and Xhariep Districts. Project sites for placement of learners have been identified. A total of 223 learners are participating in this project, funded by Electrical SETA. The Contractor Development Programme is a structured formal Learnership Programme that intends to develop emerging contractors into sustainable construction entities able to execute labour intensive projects. The National Department of Public Works has undertaken to fund the Contractor Development Programme through its Vuk’uphile Infrastructure Learnership Programme. The purpose of this programme is to develop learners to become competent entrepreneurs in the wholesale and retail sector. The Learnership is implemented in partnership with Wholesale and Retail SETA which is responsible for the funding of training. The New Venture Creation Learnership will address the economic, administrative and behaviour barriers that contribute to failures in starting and sustaining a business. For this programme, 30 ventures managed by young learners from the Historically Disadvantaged Individuals (HDI) have been created throughout the Province. These new ventures were allocated projects as part of their workplace training. The Department of Social Development’s focus on the youth sector include facilitating training opportunities such as the Child and Youth Care NQF level 4 qualification, supporting youth clubs and campaigns aimed at the youth such as the anti-gangsterism campaign. Various youth cooperatives have received support, both financial and capabity-building. The Department also funds various non-profit organizations (NPOs) focused on the youth sector. The Free State Sport Science Institute deliver services across the province and the service can be accessed by the youth through formal school sport structures, clubs and federations. The service are free of charge and includes sport testing, development of exercise programmes according to individual needs as well as capacity building courses for athletes and coaches. Financial resources are provided to Sport and Recreation Councils.